Today I am introducing my newest report template for the Test of Integrated Language and Literacy. In recent years there has been an increase in research on the subject of diagnosis and treatment of Auditory Processing Disorders (APD), formerly known as Central Auditory Processing Disorders or CAPD. In April 2016, de Wit and colleagues published a systematic review in the Journal of Speech, Language, and Hearing Research. They reviewed research studies which described the characteristics of APD in children to determine whether these characteristics merited a label of a distinct clinical disorder vs. being representative of other disorders. After a search of 6 databases, they chose 48 studies which satisfied appropriate inclusion criteria. Unfortunately, they unearthed only one study with strong methodological quality. Even more disappointing was that the children in these studies presented with incredibly diverse symptomology. The authors concluded that “The listening difficulties of children with APD may be a consequence of cognitive, language, and attention issues rather than bottom-up auditory processing” (de Wit et al., 2016, p. 384). In other words, none of the reviewed studies had conclusively proven that APD was a distinct clinical disorder. Instead, these studies showed that the children diagnosed with APD exhibited language-based deficits. In other words, the diagnosis of APD did not reveal any new information regarding the child beyond the fact that s/he is in great need of a comprehensive language assessment in order to determine which language-based interventions s/he would optimally benefit from. Now, it is important to reiterate that students diagnosed with “APD” present with legitimate symptomology (e.g., difficulty processing language, difficulty organizing narratives, difficulty decoding text, etc.). However, all the research to date indicates that these symptoms are indicative of broader language-based deficits, which require targeted language/literacy-based interventions rather than recommendations for specific prescriptive programs (e.g., CAPDOTS, Fast ForWord, etc.) or mere in-school accommodations. 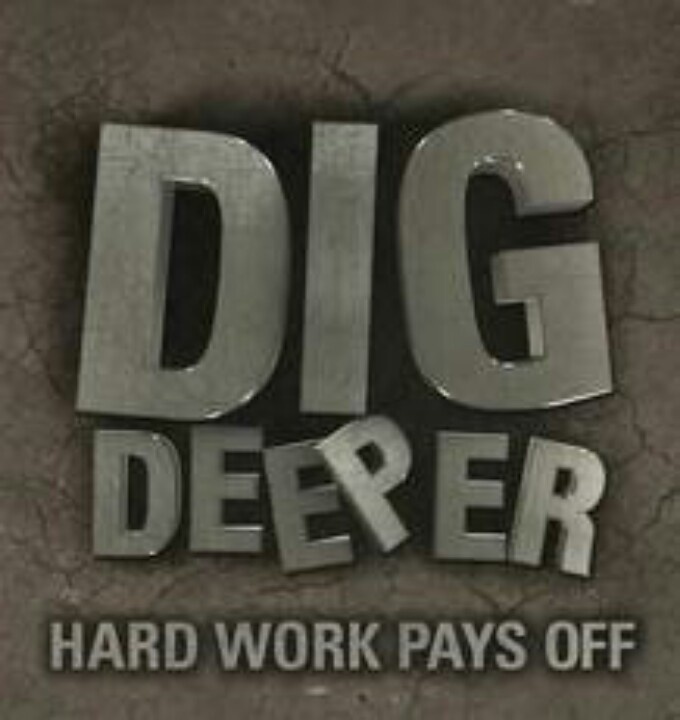 Unfortunately, on numerous occasions when the students do receive the diagnosis of APD, the testing does not “dig further,” which leads to many of them not receiving appropriate comprehensive language-literacy assessments. Furthermore, APD then becomes the “primary” diagnosis for the student, which places SLPs in situations in which they must address inappropriate therapeutic targets based on an audiologist’s recommendations. Even worse, in many of these situations, the diagnosis of APD limits the provision of appropriate language-based services to the student. Since the APD controversy has been going on for years with no end in sight despite the mounting evidence pointing to the lack of its validity, we know that SLPs will continue to have students on their caseloads diagnosed with APD. Thus, the aim of today’s post is to offer some constructive suggestions for SLPs who are asked to assess and treat students with “confirmed” or suspected APD. The first suggestion comes directly from Dr. Alan Kamhi, who states: “Do not assume that a child who has been diagnosed with APD needs to be treated any differently than children who have been diagnosed with language and learning disabilities” (Kamhi, 2011, p. 270). In other words, if one carefully analyzes the child’s so-called processing issues, one will quickly realize that those issues are not related to the processing of auditory input (auditory domain) since the child is not processing tones, hoots, or clicks, etc. but rather has difficulty processing speech and language (language domain). If a student with confirmed or suspected APD is referred to an SLP, it is important, to begin with formal and informal assessments of language and literacy knowledge and skills. (details HERE) SLPs need to “consider non-auditory reasons for listening and comprehension difficulties, such as limitations in working memory, language knowledge, conceptual abilities, attention, and motivation (Kamhi & Wallach, 2012). After performing a comprehensive assessment, SLPs need to formulate language goals based on determined areas of weaknesses. Please note that a systematic review by Fey and colleagues (2011) found no compelling evidence that auditory interventions provided any unique benefit to auditory, language, or academic outcomes for children with diagnoses of (C)APD or language disorder. As such it’s important to avoid formulating goals focused on targeting isolated processing abilities like auditory discrimination, auditory sequencing, recognizing speech in noise, etc., because these processing abilities have not been shown to improve language and literacy skills (Fey et al., 2011; Kamhi, 2011). Instead, SLPs need to target we need to focus on the language underpinnings of the above skills and turn them into language and literacy goals. For example, if the child has difficulty recognizing speech in noise, improve the child’s knowledge and access to specific vocabulary words. This will help the child detect the word when the auditory information is degraded. Child presents with phonemic awareness deficits? Figure out where in the hierarchy of phonemic awareness their strengths and weaknesses lie and formulate goals based on the remaining areas in need of mastery. Received a description of the child’s deficits from the audiologist in an accompanying report? Turn them into language goals as well! Turn “prosodic deficits” or difficulty understanding the intent of verbal messages into “listening for details and main ideas in stories” goals. In other words, figure out the language correlate to the ‘auditory processing’ deficit and replace it. It is easy to understand the appeal of using dubious practices which promise a quick fix for our student’s “APD deficits” instead of labor-intensive language therapy sessions. But one must also keep something else in mind as well: Acquiring higher order language abilities takes a significant period of time, especially for those students whose skills and abilities are significantly below age-matched peers. There is still no compelling evidence that APD is a stand-alone diagnosis with clear diagnostic criteria. There is still no compelling evidence that “auditory interventions provide any unique benefit to auditory, language, or academic outcomes” (Hazan, Messaoud-Galusi, Rosan, Nouwens, & Shakespeare, 2009; Watson & Kidd, 2009). APD deficits are language based deficits which accompany a host of developmental conditions ranging from developmental language disorders to learning disabilities, etc. SLPs should perform comprehensive language and literacy assessments of children diagnosed with APD. 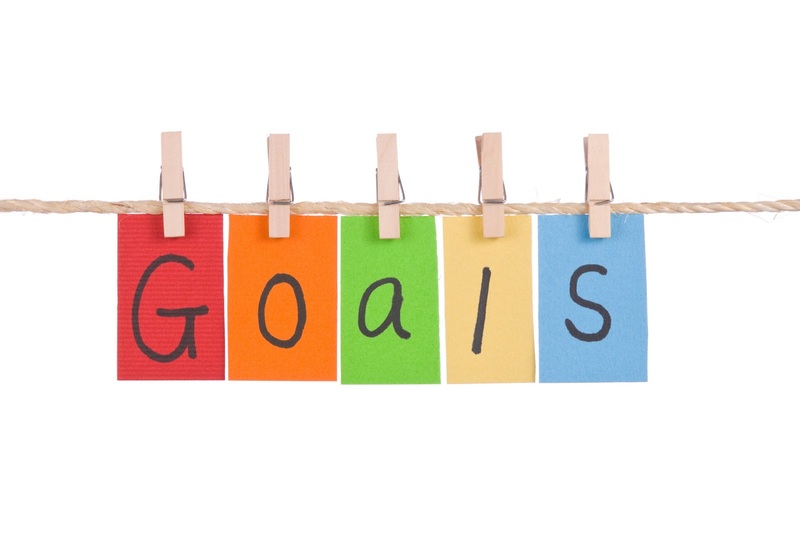 SLPs should target literacy goals. SLPS should be wary of any goals or recommendations which focus on remediation of isolated skills such as: “auditory discrimination, auditory sequencing, phonological memory, working memory, or rapid serial naming” since studies have definitively confirmed their lack of effectiveness (Fey et al., 2011). There you have it! Students diagnosed with APD are best served by targeting the language and literacy problems that are affecting their performance in school. If It’s NOT CAPD Then Where do SLPs Go From There? Why (C) APD Diagnosis is NOT Valid! What’s Memes Got To Do With It? How Early can “Dyslexia” be Diagnosed in Children? What do Auditory Memory Deficits Indicate in the Presence of Average General Language Scores? Why Are My Child’s Test Scores Dropping? In the past two years, I wrote a series of research-based posts (HERE and HERE) regarding the validity of (Central) Auditory Processing Disorder (C/APD) as a standalone diagnosis as well as questioned the utility of it for classification purposes in the school setting. Once again I want to reiterate that I was in no way disputing the legitimate symptoms (e.g., difficulty processing language, difficulty organizing narratives, difficulty decoding text, etc. ), which the students diagnosed with “CAPD” were presenting with. Rather, I was citing research to indicate that these symptoms were indicative of broader linguistic-based deficits, which required targeted linguistic/literacy-based interventions rather than recommendations for specific prescriptive programs (e.g., CAPDOTS, Fast ForWord, etc. ), or mere accommodations. I was also significantly concerned that overfocus on the diagnosis of (C)APD tended to obscure REAL, language-based deficits in children and forced SLPs to address erroneous therapeutic targets based on AuD recommendations or restricted them to a receipt of mere accommodations rather than rightful therapeutic remediation. Today I wanted to update you regarding new developments, which took place since my last blog post was written 1.5 years ago, regarding the validity of “C/APD” diagnosis. In other words, because APD is not a distinct clinical disorder, a diagnosis of APD would not contribute anything to the child’s functioning beyond showing that the child is experiencing linguistically based deficits, which bear further investigation. In July 2016, Iliadou, Sirimanna, & Bamiou published an article: “CAPD Is Classified in ICD-10 as H93.25 and Hearing Evaluation—Not Screening—Should Be Implemented in Children With Verified Communication and/or Listening Deficits” protesting DeBonis’s claim that CAPD is not a unique clinical entity and as such should not be included in any disease classification system. They stated that DeBonis omitted the fact that “CAPD is included in the U.S. version of the International Statistical Classification of Diseases and Related Health Problems–10th Revision (ICD-10) under the code H93.25” (p. 368). They also listed what they believed to be a number of article omissions, which they claimed biased DeBonis’s tutorial’s conclusions. The also authors claimed that DeBonis did not adequately define the term “traditional testing” and failed to provide several key references for select claims. They disagreed with DeBonis’s linkage of certain digit tests, as well as his “lumping” of studies which included children with suspected and diagnosed APD into the same category. (p. 368-9) They also objected to the fact that he “oversimplified” results of positive gains of select computer-based interventions for APD, and that in his summary section he listed only selected studies pertinent to the topic of intelligence and auditory processing skills. (p. 369). Their main objection, however, had to do with the section of DeBonis’s article that contained “recommended assessment and intervention process for children with listening and communication difficulties in the classroom”. They expressed concerns with his recommendations on the grounds that he failed to provide published research to support that this was the optimal way to provide intervention. The authors concluded their article by stating that due to the above-mentioned omissions they felt that DeBonis’s tutorial “show(ed) unacceptable bias” (p. 370). In response to the Iliadou, Sirimanna, & Bamiou, 2016 concerns, DeBonis issued his own response article shortly thereafter (DeBonis, 2016). Firstly, he pointed out that when his tutorial was released in June 2015 the ICD-10 was not yet in effect (it was enacted Oct 1, 2015). As such his statement was factually accurate. Secondly, he also made a very important point regarding the C/APD construct validity, namely that it fails to satisfy the Sydenham–Guttentag criteria as a distinct clinical entity (Vermiglio, 2014). Namely, despite attempts at diagnostic uniformity, CAPD remains ambiguously defined, with testing failing to “represent a homogenous patient group.” (p. 906). DeBonis next addressed the claim that he did not adequately define the term “traditional testing”. He stated that he defined it on pg. 125 of his tutorial and that information on it was taken directly from the AAA (2010) document. He then explained how it is “aligned with bottom-up aspects of the auditory system” by citing numerous references (see p. 372 for further details). After that, he addressed Iliadou, Sirimanna, & Bamiou, 2016 claim that he failed to provide references by pointing out the relevant citation in his article, which they failed to see. Next, he proceeded to address their concerns “regarding the interaction between cognition and auditory processing” by reiterating that auditory processing testing is “not so pure” and is affected by constructs such as memory, executive function skills, etc. He also referenced the findings of Beck, Clarke and Moore (2016) that “most currently used tests of APD are tests of language and attention…lack sensitivity and specificity” (p. 27). From there on, DeBonis moved on to address Iliadou, Sirimanna, & Bamiou, 2016 claims that he “oversimplified” the results of one CBAT study dealing with effects of computer-based interventions for APD. He responded that the authors of that review themselves stated that: “the evidence for improving phonological awareness is “initial”. Subsequently, DeBonis addressed the Iliadou, Sirimanna, & Bamiou, 2016 claim that he did not provide research to support his proposed testing protocol, as well as that he made a figure error. He conceded that the authors were correct with respect to the figure error (the information provided in the figure was not sufficient). However, he pointed out that the purpose of his tutorial was to “to review the literature related to ongoing concerns about the use of the CAPD construct in school-aged children and to propose an alternative assessment/intervention procedure that moves away from testing “auditory processing” and moves toward identifying and supporting students who have listening challenges”. As such, while the effectiveness of his model is being tested, it makes sense to “use of questionnaires and speech-in-noise tests with very strong psychometric characteristics” and thoroughly assess these children’s “language and cognitive skills to reduce the chance of misdiagnosis” in order to provide functional interventions (p.373). To explain the above phenomenon, I will use several excerpts from an excellent presentation by Kamhi, A, Vermiglio, A, & Wallach, G (2016), which I attended during the 2016 ASHA Convention in Philadephia, PA. Indeed, during the 2016 ASHA convention alone, there was a host of 1 and 2-hour pro-APD sessions such as: “Yes, You CANS! Adding Therapy for Specific CAPDs to an IEP“, “Perspectives on the Assessment & Treatment of Individuals With Central Auditory Processing Disorder (CAPD)“, as well as “The Buffalo Model for CAPD: Looking Back & Forward“, in addition to a host of posters and technical reports attempting to validate this diagnosis despite mounting evidence refuting that very fact. Yet only one session, “Never-Ending Controversies With CAPD: What Thinking SLPs & Audiologists Know” presented by Kamhi, Vermiglio, & Wallach (two SLPs and one AuD) and accepted by a non-AuD committee, discussed the current controversies raging in the fields of speech pathology and audiology pertaining to “C/APD”. At this juncture, it’s important to start thinking regarding possible incentives a professional might have to continue performing APD testing and making prescriptive program recommendations despite all the existing evidence refuting the validity and utility of APD diagnosis for children presenting with listening difficulties. APD deficits are linguistically based deficits which accompany a host of developmental conditions ranging from developmental language disorders to learning disabilities, etc. So there you have it, sadly, despite research and logic, the controversy is very much alive! Except I am seeing some new developments! 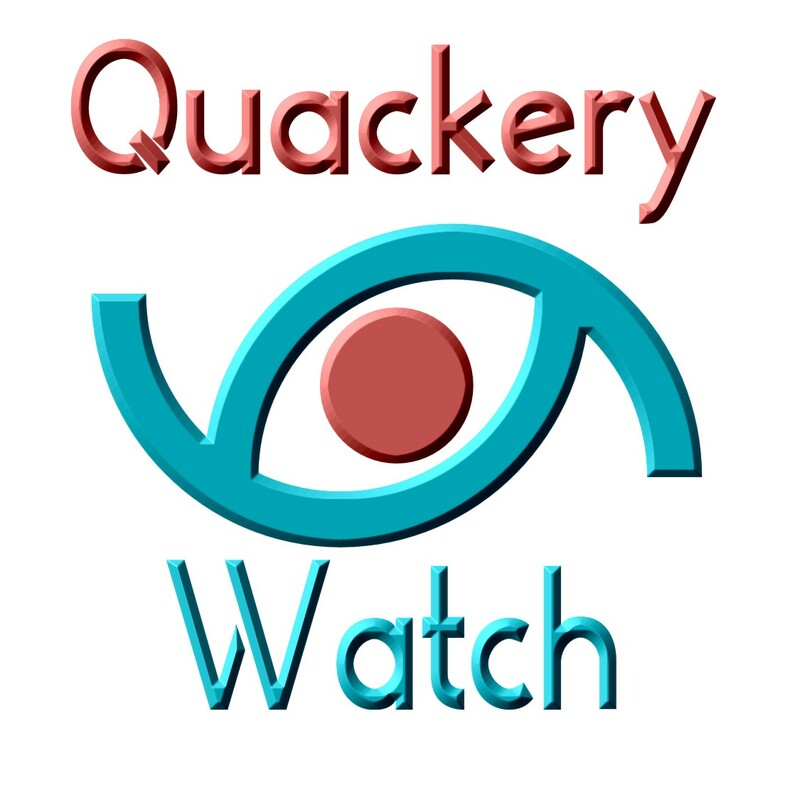 I see SLPs, newly-minted and seasoned alike, steadily voicing their concerns regarding the symptomology they are documenting in children diagnosed with so-called “CAPD” as being purely auditory in nature. I see more and more SLPs supporting research evidence and science by voicing their concerns regarding the numerous diagnostic markers of ‘CAPD’ which do not make sense to them by stating “Wait a second – that can’t be right!”. I see more and more SLPs documenting the lack of progress children make after being prescribed isolated FM systems or computer programs which claim to treat “APD symptomology” (without provision of therapy services). I see more and more SLPs beginning to understand the lack of usefulness of this diagnosis, who switch to using language-based interventions to teach children to listen, speak, read and write and to generalize these abilities to both social and academic settings. I see more and more SLPs beginning to understand the lack of usefulness of this diagnosis, who switch to using language-based interventions to teach children to listen, speak, read and write and to generalize these abilities to both social and academic settings. So I definitely do see hope on the horizon! de Wit, E., Visser-Bochane, M.I., Steenbergen, B., van Dijk, P., van der Schans, C.P., & Luinge, M.R. (2016). 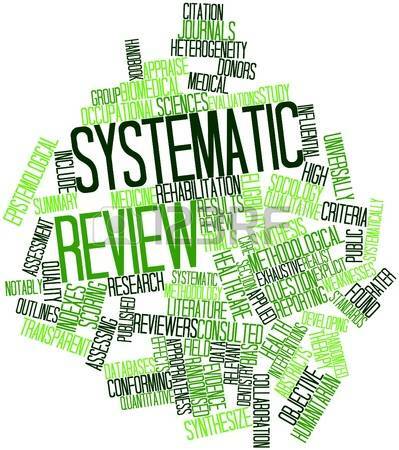 Characteristics of Auditory Processing Disorders: A Systematic Review. Journal of Speech, Language, and Hearing Research, 59, 384–413. DeBonis, D. A. (2015) It Is Time to Rethink Central Auditory Processing Disorder Protocols for School-Aged Children. American Journal of Audiology. v. 24, 124-136. DeBonis, D. A. (2016) Response to the Letter to the Editor From Iliadou, Sirimanna, and Bamiou Regarding DeBonis (2015). American Journal of Audiology, December, V. 25, 371-374. Vermiglio, A. J. (2014). On the clinical entity in audiology: (Central) auditory processing and speech recognition in noise disorders. Journal of American Academy of Audiology, 25, 904–917. Beck, D. L., Clarke, J. L., & Moore, D. R. (2016). Contemporary issues in auditory processing disorders: 2016. The Hearing Review, 23(4), 36–40. Kamhi, A, Vermiglio, A, & Wallach, G (2016) Never-Ending Controversies With CAPD: What Thinking SLPs and Audiologists Know. Presented at ASHA Annual Convention, Philadelphia, PA.
Fey, M. E., Richard, G. J., Geffner, D., Kamhi, A. G., Medwetsky, L., Paul, D., Schooling, T. (2011). Auditory processing disorder and auditory/language interventions: An evidence-based systematic review. Language, Speech and Hearing Services in Schools, 42, 246–264. Watson, C., Kidd, G. (2009). Associations between auditory abilities, reading, and other language skills in children and adults. Cacace, A., McFarland, D. Controversies in central auditory processing disorder. 218–242 San Diego, CA Plural. When many of us think of such labels as “language disorder” or “learning disability”, very infrequently do adolescents (students 13-18 years of age) come to mind. Even today, much of the research in the field of pediatric speech pathology involves preschool and school-aged children under 12 years of age. The prevalence and incidence of language disorders in adolescents is very difficult to estimate due to which some authors even referred to them as a Neglected Group with Significant Problems having an “invisible disability“. Far fewer speech language therapists work with middle-schoolers vs. preschoolers and elementary aged kids, while the numbers of SLPs working with high-school aged students is frequently in single digits in some districts while being completely absent in others. In fact, I am frequently told (and often see it firsthand) that some administrators try to cut costs by attempting to dictate a discontinuation of speech-language services on the grounds that adolescents “are far too old for services” or can “no longer benefit from services”. But of course the above is blatantly false. Undetected language deficits don’t resolve with age! They simply exacerbate and turn into learning disabilities. Similarly, lack of necessary and appropriate service provision to children with diagnosed language impairments at the middle-school and high-school levels will strongly affect their academic functioning and hinder their future vocational outcomes. A cursory look at the Speech Pathology Related Facebook Groups as well as ASHA forums reveals numerous SLPs in a continual search for best methods of assessment and treatment of older students (~12-18 years of age). Consequently, today I wanted to dedicate this post to a review of standardized assessments options available for students 12-18 years of age with suspected language and literacy deficits. Most comprehensive standardized assessments, “typically focus on semantics, syntax, morphology, and phonology, as these are the performance areas in which specific skill development can be most objectively measured” (Hill & Coufal, 2005, p 35). Very few of them actually incorporate aspects of literacy into its subtests in a meaningful way. Yet by the time students reach adolescence literacy begins to play an incredibly critical role not just in all the aspects of academics but also social communication. So when it comes to comprehensive general language testing I highly recommended that SLPs select standardized measures with a focus on not language but also literacy. Presently of all the comprehensive assessment tools I highly prefer the Test of Integrated Language and Literacy (TILLS) for students up to 18 years of age, (see a comprehensive review HERE), which covers such literacy areas as phonological awareness, reading fluency, reading comprehension, writing and spelling in addition to traditional language areas as as vocabulary awareness, following directions, story recall, etc. However, while comprehensive tests have numerous uses, their sole administration will not constitute an adequate assessment. So what areas should be assessed during language and literacy testing? Below are a few suggestions of standardized testing measures (and informal procedures) aimed at exploring the student abilities in particular areas pertaining to language and literacy. It is understandable how given the sheer amount of assessment choices some clinicians may feel overwhelmed and be unsure regarding the starting point of an adolescent evaluation. Consequently, the use the checklist prior to the initiation of assessment may be highly useful in order to identify potential language weaknesses/deficits the students might experience. It will also allow clinicians to prioritize the hierarchy of testing instruments to use during the assessment. While clinicians are encouraged to develop such checklists for their personal use, those who lack time and opportunity can locate a number of already available checklists on the market. For example, the comprehensive 6-page Speech Language Assessment Checklist for Adolescents (below) can be given to caregivers, classroom teachers, and even older students in order to check off the most pressing difficulties the student is experiencing in an academic setting. It is important for several individuals to fill out this checklist to ensure consistency of deficits, prior to determining whether an assessment is warranted in the first place and if so, which assessment areas need to be targeted. 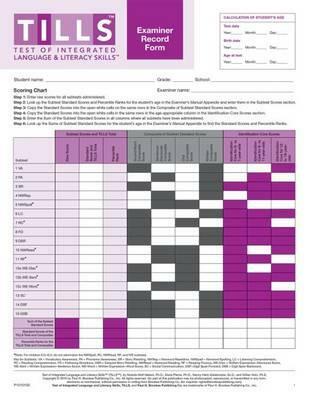 Based on the checklist administration SLPs can reliably pinpoint the student’s areas of deficits without needless administration of unrelated/unnecessary testing instruments. For example, if a student presents with deficits in the areas of problem solving and social pragmatic functioning the administration of a general language test such as the Clinical Evaluation of Language Fundamentals® – Fifth Edition (CELF-5) would NOT be functional (especially if the previous administration of educational testing did not reveal any red flags). In contrast, the administration of such tests as Test Of Problem Solving 2 Adolescent and Social Language Development Test Adolescent would be better reflective of the student’s deficits in the above areas. (Checklist HERE; checklist sample HERE). It is very important to understand that students presenting with language and literacy deficits will not outgrow these deficits on their own. While there may be “a time period when the students with early language disorders seem to catch up with their typically developing peers” (e.g., illusory recovery) by undergoing a “spurt” in language learning”(Sun & Wallach, 2014). These spurts are typically followed by a “post-spurt plateau”. This is because due to the ongoing challenges and an increase in academic demands “many children with early language disorders fail to “outgrow” these difficulties or catch up with their typically developing peers”(Sun & Wallach, 2014). As such many adolescents “may not show academic or language-related learning difficulties until linguistic and cognitive demands of the task increase and exceed their limited abilities” (Sun & Wallach, 2014). Consequently, SLPs must consider the “underlying deficits that may be masked by early oral language development” and “evaluate a child’s language abilities in all modalities, including pre-literacy, literacy, and metalinguistic skills” (Sun & Wallach, 2014). Hill, J. W., & Coufal, K. L. (2005). Emotional/behavioral disorders: A retrospective examination of social skills, linguistics, and student outcomes. Communication Disorders Quarterly, 27(1), 33–46. Sun, L & Wallach G (2014) Language Disorders Are Learning Disabilities: Challenges on the Divergent and Diverse Paths to Language Learning Disability. Topics in Language Disorders, Vol. 34; (1), pp 25–38. 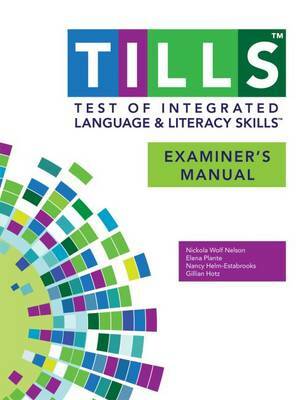 The Test of Integrated Language & Literacy Skills (TILLS) is an assessment of oral and written language abilities in students 6–18 years of age. Published in the Fall 2015, it is unique in the way that it is aimed to thoroughly assess skills such as reading fluency, reading comprehension, phonological awareness, spelling, as well as writing in school age children. As I have been using this test since the time it was published, I wanted to take an opportunity today to share just a few of my impressions of this assessment. First, a little background on why I chose to purchase this test so shortly after I had purchased the Clinical Evaluation of Language Fundamentals – 5 (CELF-5). Soon after I started using the CELF-5 I noticed that it tended to considerably overinflate my students’ scores on a variety of its subtests. In fact, I noticed that unless a student had a fairly severe degree of impairment, the majority of his/her scores came out either low/slightly below average (click for more info on why this was happening HERE, HERE, or HERE). Consequently, I was excited to hear regarding TILLS development, almost simultaneously through ASHA as well as SPELL-Links ListServe. I was particularly happy because I knew some of this test’s developers (e.g., Dr. Elena Plante, Dr. Nickola Nelson) have published solid research in the areas of psychometrics and literacy respectively. The testing subtests can be administered in isolation (with the exception of a few) or in its entirety. The administration of all the 15 subtests may take approximately an hour and a half, while the administration of the core subtests typically takes ~45 mins). Please note that there are 5 subtests that should not be administered to students 6;0-6;5 years of age because many typically developing students are still mastering the required skills. However, if needed, there are several tests of early reading and writing abilities which are available for assessment of children under 6:5 years of age with suspected literacy deficits (e.g., TERA-3: Test of Early Reading Ability–Third Edition; Test of Early Written Language, Third Edition-TEWL-3, etc.). Let’s move on to take a deeper look at its subtests. Please note that for the purposes of this review all images came directly from and are the property of Brookes Publishing Co (clicking on each of the below images will take you directly to their source). 1. Vocabulary Awareness (VA) (description above) requires students to display considerable linguistic and cognitive flexibility in order to earn an average score. It works great in teasing out students with weak vocabulary knowledge and use, as well as students who are unable to quickly and effectively analyze words for deeper meaning and come up with effective definitions of all possible word associations. Be mindful of the fact that even though the words are presented to the students in written format in the stimulus book, the examiner is still expected to read all the words to the students. Consequently, students with good vocabulary knowledge and strong oral language abilities can still pass this subtest despite the presence of significant reading weaknesses. Recommendation: I suggest informally checking the student’s word reading abilities by asking them to read of all the words, before reading all the word choices to them. This way you can informally document any word misreadings made by the student even in the presence of an average subtest score. 2. The Phonemic Awareness (PA) subtest (description above) requires students to isolate and delete initial sounds in words of increasing complexity. While this subtest does not require sound isolation and deletion in various word positions, similar to tests such as the CTOPP-2: Comprehensive Test of Phonological Processing–Second Edition or the The Phonological Awareness Test 2 (PAT 2), it is still a highly useful and reliable measure of phonemic awareness (as one of many precursors to reading fluency success). This is especially because after the initial directions are given, the student is expected to remember to isolate the initial sounds in words without any prompting from the examiner. Thus, this task also indirectly tests the students’ executive function abilities in addition to their phonemic awareness skills. 3. The Story Retelling (SR) subtest (description above) requires students to do just that retell a story. 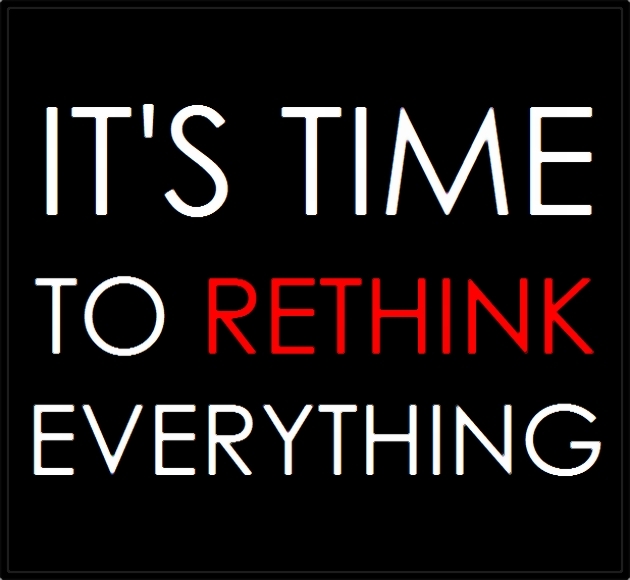 Be mindful of the fact that the presented stories have reduced complexity. Thus, unless the students possess significant retelling deficits, the above subtest may not capture their true retelling abilities. Recommendation: Consider supplementing this subtest with informal narrative measures. For younger children (kindergarten and first grade) I recommend using wordless picture books to perform a dynamic assessment of their retelling abilities following a clinician’s narrative model (e.g., HERE). For early elementary aged children (grades 2 and up), I recommend using picture books, which are first read to and then retold by the students with the benefit of pictorial but not written support. Finally, for upper elementary aged children (grades 4 and up), it may be helpful for the students to retell a book or a movie seen recently (or liked significantly) by them without the benefit of visual support all together (e.g., HERE). 4. The Nonword Repetition (NR) subtest (description above) requires students to repeat nonsense words of increasing length and complexity. Weaknesses in the area of nonword repetition have consistently been associated with language impairments and learning disabilities due to the task’s heavy reliance on phonological segmentation as well as phonological and lexical knowledge (Leclercq, Maillart, Majerus, 2013). Thus, both monolingual and simultaneously bilingual children with language and literacy impairments will be observed to present with patterns of segment substitutions (subtle substitutions of sounds and syllables in presented nonsense words) as well as segment deletions of nonword sequences more than 2-3 or 3-4 syllables in length (depending on the child’s age). 5. The Nonword Spelling (NS) subtest (description above) requires the students to spell nonwords from the Nonword Repetition (NR) subtest. Consequently, the Nonword Repetition (NR) subtest needs to be administered prior to the administration of this subtest in the same assessment session. In contrast to the real-word spelling tasks, students cannot memorize the spelling of the presented words, which are still bound by orthographic and phonotactic constraints of the English language. While this is a highly useful subtest, is important to note that simultaneously bilingual children may present with decreased scores due to vowel errors. Consequently, it is important to analyze subtest results in order to determine whether dialectal differences rather than a presence of an actual disorder is responsible for the error patterns. 6. The Listening Comprehension (LC) subtest (description above) requires the students to listen to short stories and then definitively answer story questions via available answer choices, which include: “Yes”, “No’, and “Maybe”. This subtest also indirectly measures the students’ metalinguistic awareness skills as they are needed to detect when the text does not provide sufficient information to answer a particular question definitively (e.g., “Maybe” response may be called for). Be mindful of the fact that because the students are not expected to provide sentential responses to questions it may be important to supplement subtest administration with another listening comprehension assessment. 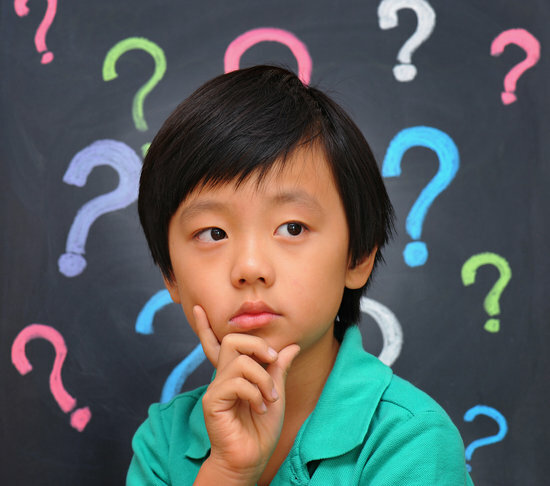 Tests such as the Listening Comprehension Test-2 (LCT-2), the Listening Comprehension Test-Adolescent (LCT-A), or the Executive Function Test-Elementary (EFT-E) may be useful if language processing and listening comprehension deficits are suspected or reported by parents or teachers. This is particularly important to do with students who may be ‘good guessers’ but who are also reported to present with word-finding difficulties at sentence and discourse levels. 7. The Reading Comprehension (RC) subtest (description above) requires the students to read short story and answer story questions in “Yes”, “No’, and “Maybe” format. This subtest is not stand alone and must be administered immediately following the administration the Listening Comprehension subtest. The student is asked to read the first story out loud in order to determine whether s/he can proceed with taking this subtest or discontinue due to being an emergent reader. The criterion for administration of the subtest is making 7 errors during the reading of the first story and its accompanying questions. Unfortunately, in my clinical experience this subtest is not always accurate at identifying children with reading-based deficits. While I find it terrific for students with severe-profound reading deficits and/or below average IQ, a number of my students with average IQ and moderately impaired reading skills managed to pass it via a combination of guessing and luck despite being observed to misread aloud between 40-60% of the presented words. Be mindful of the fact that typically such students may have up to 5-6 errors during the reading of the first story. Thus, according to administration guidelines these students will be allowed to proceed and take this subtest. They will then continue to make text misreadings during each story presentation (you will know that by asking them to read each story aloud vs. silently). However, because the response mode is in definitive (“Yes”, “No’, and “Maybe”) vs. open ended question format, a number of these students will earn average scores by being successful guessers. Recommendation: I highly recommend supplementing the administration of this subtest with grade level (or below grade level) texts (see HERE and/or HERE), to assess the student’s reading comprehension informally. I present a full one page text to the students and ask them to read it to me in its entirety. I audio/video record the student’s reading for further analysis (see Reading Fluency section below). After the completion of the story I ask the student questions with a focus on main idea comprehension and vocabulary definitions. I also ask questions pertaining to story details. Depending on the student’s age I may ask them abstract/ factual text questions with and without text access. Overall, I find that informal administration of grade level (or even below grade-level) texts coupled with the administration of standardized reading tests provides me with a significantly better understanding of the student’s reading comprehension abilities rather than administration of standardized reading tests alone. 8. The Following Directions (FD) subtest (description above) measures the student’s ability to execute directions of increasing length and complexity. It measures the student’s short-term, immediate and working memory, as well as their language comprehension. What is interesting about the administration of this subtest is that the graphic symbols (e.g., objects, shapes, letter and numbers etc.) the student is asked to modify remain covered as the instructions are given (to prevent visual rehearsal). After being presented with the oral instruction the students are expected to move the card covering the stimuli and then to executive the visual-spatial, directional, sequential, and logical if–then the instructions by marking them on the response form. The fact that the visual stimuli remains covered until the last moment increases the demands on the student’s memory and comprehension. The subtest was created to simulate teacher’s use of procedural language (giving directions) in classroom setting (as per developers). 9. The Delayed Story Retelling (DSR) subtest (description above) needs to be administered to the students during the same session as the Story Retelling (SR) subtest, approximately 20 minutes after the SR subtest administration. Despite the relatively short passage of time between both subtests, it is considered to be a measure of long-term memory as related to narrative retelling of reduced complexity. Here, the examiner can compare student’s performance to determine whether the student did better or worse on either of these measures (e.g., recalled more information after a period of time passed vs. immediately after being read the story). However, as mentioned previously, some students may recall this previously presented story fairly accurately and as a result may obtain an average score despite a history of teacher/parent reported long-term memory limitations. Consequently, it may be important for the examiner to supplement the administration of this subtest with a recall of a movie/book recently seen/read by the student (a few days ago) in order to compare both performances and note any weaknesses/limitations. 10. The Nonword Reading (NR) subtest (description above) requires students to decode nonsense words of increasing length and complexity. What I love about this subtest is that the students are unable to effectively guess words (as many tend to routinely do when presented with real words). Consequently, the presentation of this subtest will tease out which students have good letter/sound correspondence abilities as well as solid orthographic, morphological and phonological awareness skills and which ones only memorized sight words and are now having difficulty decoding unfamiliar words as a result. 11. The Reading Fluency (RF) subtest (description above) requires students to efficiently read facts which make up simple stories fluently and correctly. Here are the key to attaining an average score is accuracy and automaticity. In contrast to the previous subtest, the words are now presented in meaningful simple syntactic contexts. Thus, “the mean is to the left of the mode” (see publisher’s image below). This is why a student could earn an average standard score (near the mean) and a low percentile rank when true percentiles are used rather than NCE percentiles (Normal Curve Equivalent). 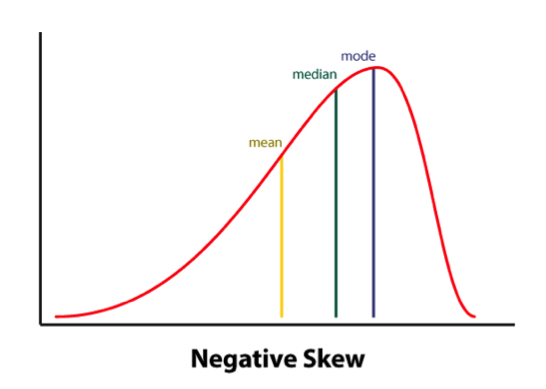 Consequently under certain conditions (See HERE) the percentile rank (vs. the NCE percentile) will be a more accurate representation of the student’s ability on this subtest. Indeed, due to the reduced complexity of the presented words some students (especially younger elementary aged) may obtain average scores and still present with serious reading fluency deficits. I frequently see that in students with average IQ and go to long-term memory, who by second and third grades have managed to memorize an admirable number of sight words due to which their deficits in the areas of reading appeared to be minimized. Recommendation: If you suspect that your student belongs to the above category I highly recommend supplementing this subtest with an informal measure of reading fluency. This can be done by presenting to the student a grade level text (I find science and social studies texts particularly useful for this purpose) and asking them to read several paragraphs from it (see HERE and/or HERE). As the students are reading I calculate their reading fluency by counting the number of words they read per minute. I find it very useful as it allows me to better understand their reading profile (e.g, fast/inaccurate reader, slow/inaccurate reader, slow accurate reader, fast/accurate reader). As the student is reading I note their pauses, misreadings, word-attack skills and the like. Then, I write a summary comparing the students reading fluency on both standardized and informal assessment measures in order to document students strengths and limitations. 12. The Written Expression (WE) subtest (description above) needs to be administered to the students immediately after the administration of the Reading Fluency (RF) subtest because the student is expected to integrate a series of facts presented in the RF subtest into their writing sample. There are 4 stories in total for the 4 different age groups. After the student finishes his/her story, the examiner will analyze it and generate the following scores: a discourse score, a sentence score, and a word score. Detailed instructions as well as the Examiner’s Practice Workbook are provided to assist with scoring as it takes a bit of training as well as trial and error to complete it, especially if the examiners are not familiar with certain procedures (e.g., calculating T-units). Full disclosure: Because the above subtest is still essentially sentence combining, I have only used this subtest a handful of times with my students. Typically when I’ve used it in the past, most of my students fell in two categories: those who failed it completely by either copying text word for word, failing to generate any written output etc. or those who passed it with flying colors but still presented with notable written output deficits. Consequently, I’ve replaced Written Expression subtest administration with the administration of written standardized tests, which I supplement with an informal grade level expository, persuasive, or narrative writing samples. Having said that many clinicians may not have the access to other standardized written assessments, or lack the time to administer entire standardized written measures (which may frequently take between 60 to 90 minutes of administration time). Consequently, in the absence of other standardized writing assessments, this subtest can be effectively used to gauge the student’s basic writing abilities, and if needed effectively supplemented by informal writing measures (mentioned above). 13. The Social Communication (SC) subtest (description above) assesses the students’ ability to understand vocabulary associated with communicative intentions in social situations. It requires students to comprehend how people with certain characteristics might respond in social situations by formulating responses which fit the social contexts of those situations. Essentially students become actors who need to act out particular scenes while viewing select words presented to them. Full disclosure: Similar to my infrequent administration of the Written Expression subtest, I have also administered this subtest very infrequently to students. Here is why. I am an SLP who works full-time in a psychiatric hospital with children diagnosed with significant psychiatric impairments and concomitant language and literacy deficits. As a result, a significant portion of my job involves comprehensive social communication assessments to catalog my students’ significant deficits in this area. Yet, past administration of this subtest showed me that number of my students can pass this subtest quite easily despite presenting with notable and easily evidenced social communication deficits. Consequently, I prefer the administration of comprehensive social communication testing when working with children in my hospital based program or in my private practice, where I perform independent comprehensive evaluations of language and literacy (IEEs). Again, as I’ve previously mentioned many clinicians may not have the access to other standardized social communication assessments, or lack the time to administer entire standardized written measures. Consequently, in the absence of other social communication assessments, this subtest can be used to get a baseline of the student’s basic social communication abilities, and then be supplemented with informal social communication measures such as the Informal Social Thinking Dynamic Assessment Protocol (ISTDAP) or observational social pragmatic checklists. 14. The Digit Span Forward (DSF) subtest (description above) is a relatively isolated measure of short term and verbal working memory ( it minimizes demands on other aspects of language such as syntax or vocabulary). 15. The Digit Span Backward (DSB) subtest (description above) assesses the student’s working memory and requires the student to mentally manipulate the presented stimuli in reverse order. It allows examiner to observe the strategies (e.g. verbal rehearsal, visual imagery, etc.) the students are using to aid themselves in the process. Please note that the Digit Span Forward subtest must be administered immediately before the administration of this subtest. 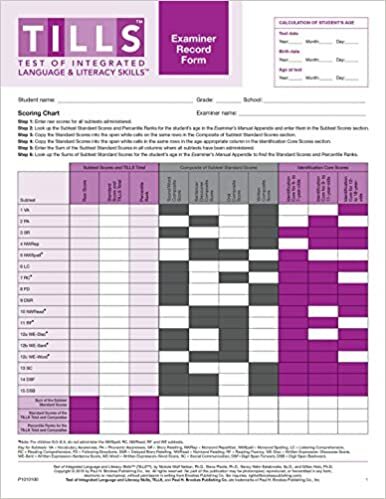 SLPs who have used tests such as the Clinical Evaluation of Language Fundamentals – 5 (CELF-5) or the Test of Auditory Processing Skills – Third Edition (TAPS-3) should be highly familiar with both subtests as they are fairly standard measures of certain aspects of memory across the board. To continue, in addition to the presence of subtests which assess the students literacy abilities, the TILLS also possesses a number of interesting features. For starters, the TILLS Easy Score, which allows the examiners to use their scoring online. It is incredibly easy and effective. After clicking on the link and filling out the preliminary demographic information, all the examiner needs to do is to plug in this subtest raw scores, the system does the rest. After the raw scores are plugged in, the system will generate a PDF document with all the data which includes (but is not limited to) standard scores, percentile ranks, as well as a variety of composite and core scores. The examiner can then save the PDF on their device (laptop, PC, tablet etc.) for further analysis. Then there is the Student Language Scale (SLS) which is a one page checklist parents, teachers (and even students) can fill out to informally identify language and literacy based strengths and weaknesses. It allows for meaningful input from multiple sources regarding the students performance (as per IDEA 2004) and can be used not just with TILLS but with other tests or in even isolation (as per developers). Furthermore according to the developers, because the normative sample included several special needs populations, the TILLS can be used with students diagnosed with ASD, deaf or hard of hearing (see caveat), as well as intellectual disabilities (as long as they are functioning age 6 and above developmentally). According to the developers the TILLS is aligned with Common Core Standards and can be administered as frequently as two times a year for progress monitoring (min of 6 mos post 1st administration). With respect to bilingualism examiners can use it with caution with simultaneous English learners but not with sequential English learners (see further explanations HERE). Translations of TILLS are definitely not allowed as they will undermine test validity and reliability. So there you have it these are just some of my very few impressions regarding this test. Now to some of you may notice that I spend a significant amount of time pointing out some of the tests limitations. However, it is very important to note that we have research that indicates that there is no such thing as a “perfect standardized test” (see HERE for more information). All standardized tests have their limitations. 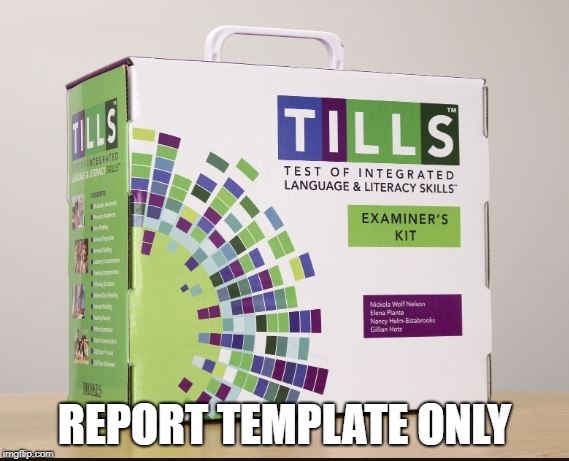 Having said that, I think that TILLS is a PHENOMENAL addition to the standardized testing market, as it TRULY appears to assess not just language but also literacy abilities of the students on our caseloads. That’s all from me; however, before signing off I’d like to provide you with more resources and information, which can be reviewed in reference to TILLS. For starters, take a look at Brookes Publishing TILLS resources. These include (but are not limited to) TILLS FAQ, TILLS Easy-Score, TILLS Correction Document, as well as 3 FREE TILLS Webinars. There’s also a Facebook Page dedicated exclusively to TILLS updates (HERE). But that’s not all. Dr. Nelson and her colleagues have been tirelessly lecturing about the TILLS for a number of years, and many of their past lectures and presentations are available on the ASHA website as well as on the web (e.g., HERE, HERE, HERE, etc). Take a look at them as they contain far more in-depth information regarding the development and implementation of this groundbreaking assessment. Disclaimer: I did not receive a complimentary copy of this assessment for review nor have I received any encouragement or compensation from either Brookes Publishing or any of the TILLS developers to write it. All images of this test are direct property of Brookes Publishing (when clicked on all the images direct the user to the Brookes Publishing website) and were used in this post for illustrative purposes only. Leclercq A, Maillart C, Majerus S. (2013) Nonword repetition problems in children with SLI: A deficit in accessing long-term linguistic representations? Topics in Language Disorders. 33 (3) 238-254. What Are Speech Pathologists To Do If the (C)APD Diagnosis is NOT Valid? To CLARIFY, I was NOT trying to disprove that the processing deficits exhibited by the children diagnosed with “(C)APD” were not REAL. Rather I was trying to point out that these processing deficits are of neurolinguistic origin and as such need to be addressed from a linguistic rather than ‘auditory’ standpoint. In other words, if one carefully analyzes the child’s so-called processing issues, one will quickly realize that those issues are not related to the processing of auditory input (auditory domain) since the child is not processing tones, hoots, or clicks, etc. but rather has difficulty processing speech and language (linguistic domain). Let us review two major APD Models: The Buffalo Model (Katz) and the Bellis/Ferre Model, to support the above stance. 1. The Decoding Category – refers to the ability to quickly and accurately process speech, most importantly at the phonemic level (Since this involves speech sounds then this has nothing to do with the processing of auditory stimuli. In other words deficits in this area are of linguistic nature and the highly correlated with reading deficits characterized by weak/deficient phonemic awareness abilities/poor emergent reading abilities). 2. Tolerance-Fading Memory (TFM) Category – refers to two skills that are often found together: “tolerance” – understanding speech in noise (processing of language) and “fading memory” – auditory short-term or working memory (memory= higher level cognitive skills vs. a pure auditory entity). Similar to the Buffalo model, the Bellis/Ferre Model, describes deficits of linguistic versus auditory nature many of which are characteristic of a learning disability. The above list doesn’t even reference assessment of Reading, Writing, and Spelling, all areas which play a crucial role in academic language as any deficits displayed in those areas may also present as CAPD symptoms. If literacy testing is not performed, it is still important for SLPs to review and seriously consider the results of learning evaluations in order to see the whole child and not just their limited functioning in select areas of oral language comprehension, expression, and use. It is very important for SLPs to understand that without a comprehensive language and literacy assessment of deficit areas it is very difficult to adequately address the student’s linguistically-based deficits! Thus, if testing shortcuts are taken then the referral of students diagnosed with the (C)APD will not cease, and SLPs will continue to be in the dark regarding which goals should be addressed with these students in therapy. Today I’d like to officially introduce a new parent consultation service which I had originally initiated with a few out-of-state clients through my practice a few years ago. The idea for this service came after numerous parents contacted me and initiated dialogue via email and phone calls regarding the services/assessments needed for their monolingual/bilingual internationally/domestically adopted or biological children with complex communication needs. Here are some details about it. Parent consultations is a service provided to clients who live outside Smart Speech Therapy LLC geographical area (e.g., non-new Jersey residents) who are interested in comprehensive specialized in-depth consultations and recommendations regarding what type of follow up speech language services they should be seeking/obtaining in their own geographical area for their children as well as what type of carryover activities they should be doing with their children at home. The initial consultation length of this service is 1 hour. Clients are asked to forward their child’s records prior to the consultation for review, fill out several relevant intakes and questionnaires, as well as record a short video (3-5 minutes). The instructions regarding video content will be provided to them following session payment. Upon purchasing a consultation the client will be immediately emailed the necessary paperwork to fill out as well as potential dates and times for the consultation to take place. 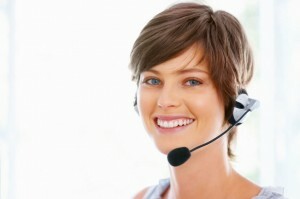 Afternoon, Evening and Weekend hours are available for the client’s convenience. In cases of emergencies consultations may be rescheduled at the client’s/Smart Speech Therapy’s mutual convenience. Refunds are available during a 3 day grace period if a mutually convenient time could not be selected for the consultation. Please note that fees will not be refundable from the time the scheduled consultation begins. Following the consultation the client has the option of requesting a written detailed consultation report at an additional cost, which is determined based on the therapist’s hourly rate. For further information click HERE. You can also call 917-916-7487 or email [email protected] if you wanted to find out whether this service is right for you. Below is a past parent consultation testimonial. I found Tatyana and Smart Speech Therapy online while searching for information about internationally adopted kids and speech evaluations. We’d already taken our three year old son to a local SLP but were very unsatisfied with her opinion, and we just didn’t know where to turn. Upon finding the articles and blogs written by Tatyana, I felt like I’d finally found someone who understood the language learning process unique to adopted kids, and whose writings could also help me in my meetings with the local school system as I sought special education services for my son. I could have never predicted then just how much Tatyana and Smart Speech Therapy would help us. I used the online contact form on her website to see if Tatyana could offer us any services or recommendations, even though we are in Virginia and far outside her typical service area. She offered us an in-depth phone consultation that was probably one of the most informative, supportive and helpful phone calls I’ve had in the eight months since adopting my son. Through a series of videos, questionnaires, and emails, she was better able to understand my son’s speech difficulties and background than any of the other sources I’d sought help from. She was able to explain to me, a lay person, exactly what was going on with our son’s speech, comprehension, and learning difficulties in a way that a) added urgency to our situation without causing us to panic, b) provided me with a ton of research-orientated information for our local school system to review, and c) validated all my concerns and gut instincts that had previously been brushed aside by other physicians and professionals who kept telling us to “wait and see”. After our phone call, we contracted Tatyana to provide us with an in-depth consultation report that we are now using with our local school and child rehab center to get our son the help he needs. Without that report, I don’t think we would have had the access to these services or the backing we needed to get people to seriously listen to us. It’s a terrible place to be in when you think something might be wrong, but you’re not sure and no one around you is listening. Tatyana listened to us, but more importantly, she looked at our son as a specific kid with a specific past and specific needs. We were more than just a number or file to her – and we’ve never even actually met in person! The best move we’ve could’ve made was sending her that email that day. We are so appreciative. Today I’m excited to introduce a new product: “Creating A Learning Rich Environment for Language Delayed Preschoolers“. This 40 page presentation provides suggestions to parents regarding how to facilitate further language development in language delayed/impaired preschoolers at home in conjunction with existing outpatient, school, or private practice based speech language services. It details implementation strategies as well as lists useful materials, books, and websites of interest. It is intended to be of interest to both parents and speech language professionals (especially clinical fellows and graduates speech pathology students or any other SLPs switching populations) and not just during the summer months. SLPs can provide it to the parents of their cleints instead of creating their own materials. This will not only save a significant amount of time but also provide a concrete step-by-step outline which explains to the parents how to engage children in particular activities from bedtime book reading to story formulation with magnetic puzzles. Who is directing the show? Free Arts and Crafts Activities Anyone? Are you a caregiver, an SLP or a related professional? DOES THIS SOUND LIKE SOMETHING YOU CAN USE? if so you can find it HERE in my online store. Heath, S. B (1982) What no bedtime story means: Narrative skills at home and school. Language in Society, vol. 11 pp. 49-76. In the past a number of my SLP colleague bloggers (Communication Station, Twin Sisters SLPs, Practical AAC, etc.) wrote posts regarding the use of thematic texts for language intervention purposes. They discussed implementation of fictional texts such as the use of children’s books and fairy tales to target linguistic goals such as vocabulary knowledge in use, sentence formulation, answering WH questions, as well as story recall and production. Today I would like to supplement those posts with information regarding the implementation of intervention based on thematic nonfiction texts to further improve language abilities of children with language difficulties. First, here’s why the use of nonfiction texts in language intervention is important. While narrative texts have high familiarity for children due to preexisting, background knowledge, familiar vocabulary, repetitive themes, etc. nonfiction texts are far more difficult to comprehend. It typically contains unknown concepts and vocabulary, which is then used in the text multiple times. Therefore lack of knowledge of these concepts and related vocabulary will result in lack of text comprehension. According to Duke (2013) half of all the primary read-alouds should be informational text. It will allow students to build up knowledge and the necessary academic vocabulary to effectively participate and partake from the curriculum. So what type of nonfiction materials can be used for language intervention purposes. While there is a rich variety of sources available, I have had great success using Let’s Read and Find Out Stage 1 and 2 Science Series with clients with varying degrees of language impairment. Here’s are just a few reasons why I like to use this series. They can be implemented by parents and professionals alike for different purposes with equal effectiveness. The books are readily available online (Barnes & Noble, Amazon, etc.) and in stores. They are relatively inexpensive (individual books cost about $5-6). They are highly thematic, contain terrific visual support, and are surprisingly versatile, with information on topics ranging from animal habitats and life cycles to natural disasters and space. They contain subject-relevant vocabulary words that the students are likely to use in the future over and over again (Stahl & Fairbanks, 1986). The words are already pre-grouped in semantic clusters which create schemes (mental representations) for the students (Marzano & Marzano, 1988). Context: Steam from a hot soup is water vapor. Context: The hot air expands and pops the balloon. Context: The atmosphere is the air that covers the Earth. Context: The forecast had a lot to tell us about the storm. Context: steam in the air condenses to form water drops. These books are not just great for increasing academic vocabulary knowledge and use. They are great for teaching sequencing skills (e.g., life cycles), critical thinking skills (e.g., What do animals need to do in the winter to survive? ), compare and contrast skills (e.g., what is the difference between hatching and molting?) and much, much, more! So why is use of nonfiction texts important for strengthening vocabulary knowledge and words in language impaired children? As I noted in my previous post on effective vocabulary instruction (HERE): “teachers with many struggling children often significantly reduce the quality of their own vocabulary unconsciously to ensure understanding” (Excerpts from Anita Archer’s Interview with Advance for SLPs). The same goes for SLPs and parents. Many of them are under misperception that if they teach complex subject-related words like “metamorphosis” or “vaporization” to children with significant language impairments or developmental disabilities that these students will not understand them and will not benefit from learning them. However, that is not the case! These students will still significantly benefit from learning these words, it will simply take them longer periods of practice to retain them! By simplifying our explanations, minimizing verbiage and emphasizing the visuals, the books can be successfully adapted for use with children with severe language impairments. I have had parents observe my intervention sessions using these books and then successfully use them in the home with their children by reviewing the information and reinforcing newly learned vocabulary knowledge. What do you see in this picture? What do you know about _____? What do you think is happening? Why? What do you think they are doing? Why? How do ____ and _____ go together? Make predictions and inferences about will happen next? Why is this book important? “Picture walks” (flipping through the pages) of these books are also surprisingly effective for activation of the student’s background knowledge (what a student already knows about a subject). This is an important prerequisite skill needed for continued acquisition of new knowledge. It is important because “students who lack sufficient background knowledge or are unable to activate it may struggle to access, participate, and progress through the general curriculum” (Stangman, Hall & Meyer, 2004). Children with poor vocabulary knowledge learn less words and widen the gap between self and peers over time due to their inability to effectively meet the ever increasing academic effects of the classroom. The vocabulary problems of students who enter school with poorer limited vocabularies only worsen over time (White, Graves & Slater, 1990). We need to provide these children with all the feasible opportunities to narrow this gap and partake from the curriculum in a more similar fashion as typically developing peers. Duke, N. K. (2013). Starting out: Practices to Use in K-3. Educational Leadership, 71, 40-44. Marzano, R. J., & Marzano, J. (1988). Toward a cognitive theory of commitment and its implications for therapy. Psychotherapy in Private Practice 6(4), 69–81. Stahl, S. A. & Fairbanks, M. M. “The Effects of Vocabulary Instruction: A Model-based Metaanalysis.” Review of Educational Research 56 (1986): 72-110. Strangman, N., Hall, T., & Meyer, A. (2004). Background knowledge with UDL. Wakefield, MA: National Center on Accessing the General Curriculum. White, T. G., Graves, M. F., & Slater W. H. (1990). Growth of reading vocabulary in diverse elementary schools: Decoding and word meaning. Journal of Educational Psychology, 82, 281–290. With the passing of dyslexia laws in the state of New Jersey in 2014, there has been an increased focus on reading disabilities and dyslexia particularly in the area of effective assessment and remediation. More and more parents and health related professionals are looking to understand the components of effective dyslexia testing and who is qualified to perform it. So I decided to write a multi-part series regarding the components of comprehensive dyslexia testing in order to assist parents and professionals to better understand the steps of the testing process (Infographic courtesy of TES Resources). In this particular post I would like to accomplish two things: dispel several common myths regarding dyslexia testing as well as discuss the first step of SLP based testing which is a language assessment. Myth 1: Dyslexia can be diagnosed based on a single test! DYSLEXIA CANNOT BE CONFIRMED BY THE ADMINISTRATION OF ONE SPECIFIC TEST. A comprehensive battery of tests from multiple professionals including neuropsychologists, psychologists, learning specialists, speech language pathologists and even occupational therapists needs to actually be administered in order to confirm the presence of reading based disabilities. Myth 2: A doctor can diagnose dyslexia! A doctor does not have adequate training to diagnose learning disabilities, the same way as a doctor cannot diagnose speech and language problems. Both lie squarely outside of their scope of practice! A doctor can listen to parental concerns and suggest an appropriate plan of action (recommend relevant assessments) but they couldn’t possibly diagnose dyslexia which is made on the basis of team assessments. Myth 3: Speech Pathologists cannot perform dyslexia testing! SPEECH LANGUAGE PATHOLOGISTS TRAINED IN IDENTIFICATION OF READING AND WRITING DISORDERS ARE FULLY QUALIFIED TO PERFORM SIGNIFICANT PORTIONS OF DYSLEXIA BATTERY. So what are the dyslexia battery components? History of impaired phonological awareness skills (difficulty remembering children’s songs, recognizing and making rhymes, confusing words that sound alike, etc). After that we need to perform language testing to determine whether the child presents with any deficits in that area. Please note that while children with language impairments are at significant risk for dyslexia not all children with dyslexia present with language impairments. In other words, the child may be cleared by language testing but still present with significant reading disability, which is why comprehensive language testing is only the first step in the dyslexia assessment battery. Here we are looking to assess the child’s listening comprehension. processing skills, and verbal expression in the form of conversational and narrative competencies. Oral language is the prerequisite to reading and writing. So a single vocabulary test, a grammar completion task, or even a sentence formulation activity is simply not going to count as a part of a comprehensive assessment. Here it is important to assess the student’s ability to listen to short passages and answer a variety of story related questions vs. passively point at 1 of 4 pictures depicting a particular sentence structure (e.g., Point to the picture which shows: “The duck was following the girl”). I personally like to use the Listening Comprehension Tests for this task but any number of subtests from other tests have similar components. Here it is important to assess the student’s vocabulary ability via manipulation of words to create synonyms, antonyms, multiple meaning words, definitions, etc. For this task I like to use the WORD Tests (3-Elementary and 2-Adolescent). Usually I don’t like to use any standardized testing for assessment of this skill but use the parameters from the materials I created myself based on existing narrative research (click HERE). Given my line of work (school in an outpatient psychiatric setting), no testing is complete without some for of social pragmatic language assessment in order to determine whether the student presents with hidden social skill deficits. It is important to note that I’ve seen time and time again students acing the general language testing only to bomb on the social pragmatic tasks which is why this should be a mandatory part of every language test in my eyes. Here, a variety of choices exists. For quick results I typically tends to use the Social Language Development Tests as well as portions of the Social Thinking Dynamic Assessment Protocol®. So there you have it! The first installment on comprehensive dyslexia testing is complete. READ part II which discusses components of Phonological Awareness and Word Fluency testing HERE. Read part III of this series which discusses components of Reading Fluency and Reading Comprehension testing HERE.